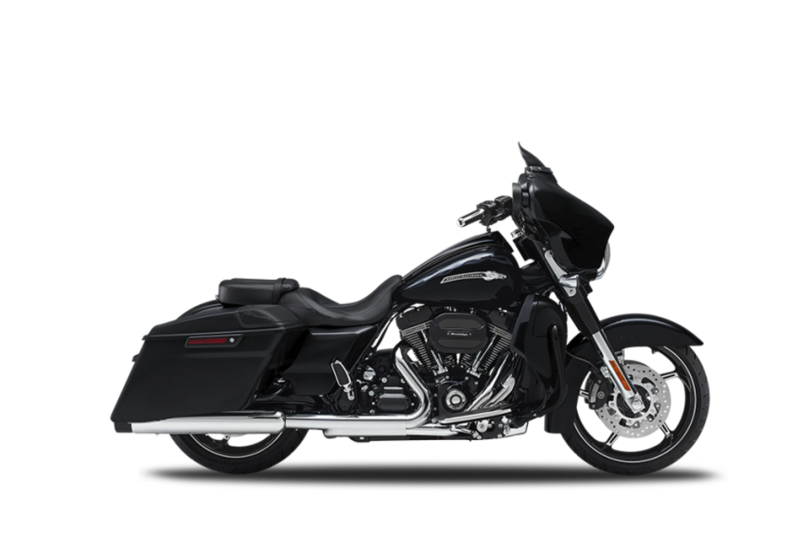 The CVO™ (Custom Vehicle Operations) model line here at Riverside Harley-Davidson® includes the highest end bikes in the Harley-Davidson® lineup. 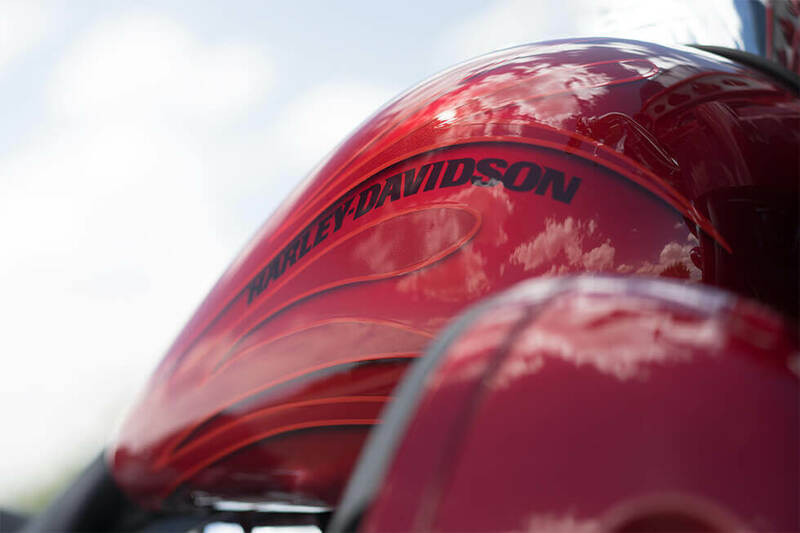 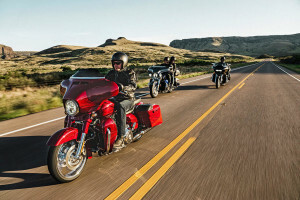 These bikes are based on the more mainstream models, but they get custom styling, more powerful engines, and more features to make them stand out from the pack. 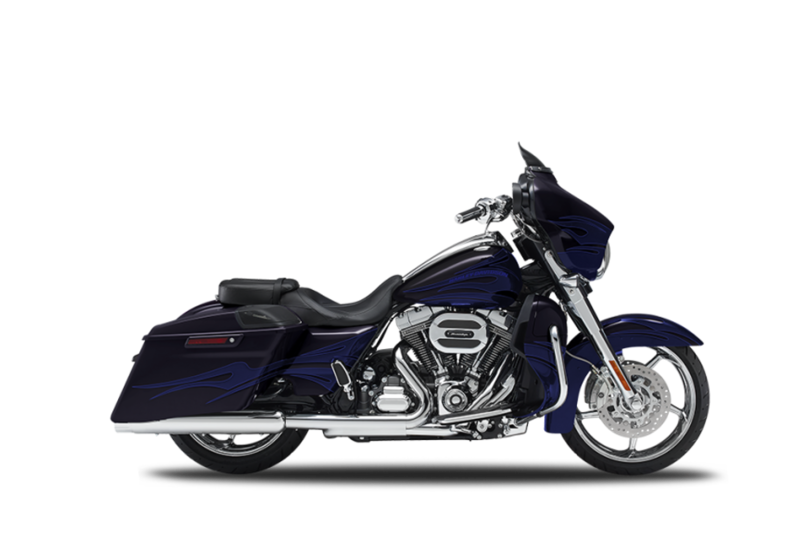 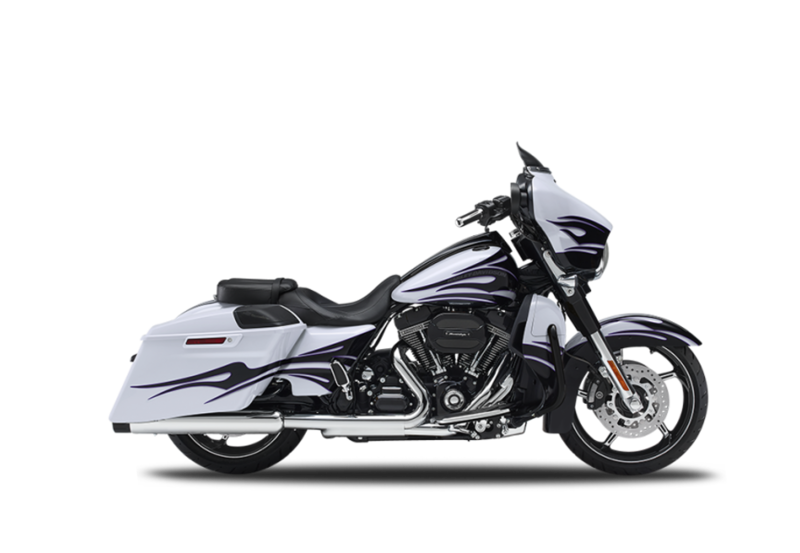 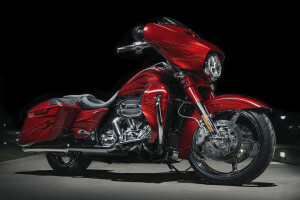 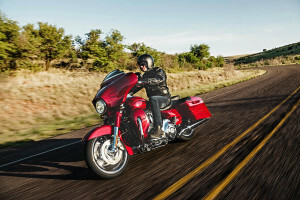 Find out about the CVO™ Street Glide®, one of our favorite touring bikes here in the Los Angeles and Inland Empire, CA area. 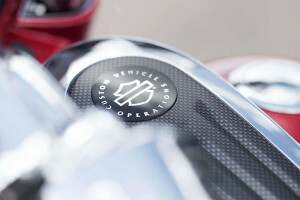 Electronic Sequential Port Fuel Injection: Efficient performance is enhanced by Electronic Sequential Port Fuel Injection. This system features heated oxygen sensors which help keep emissions low, and maybe best of all, you’ll find that it requires less regular maintenance than a carburetor. 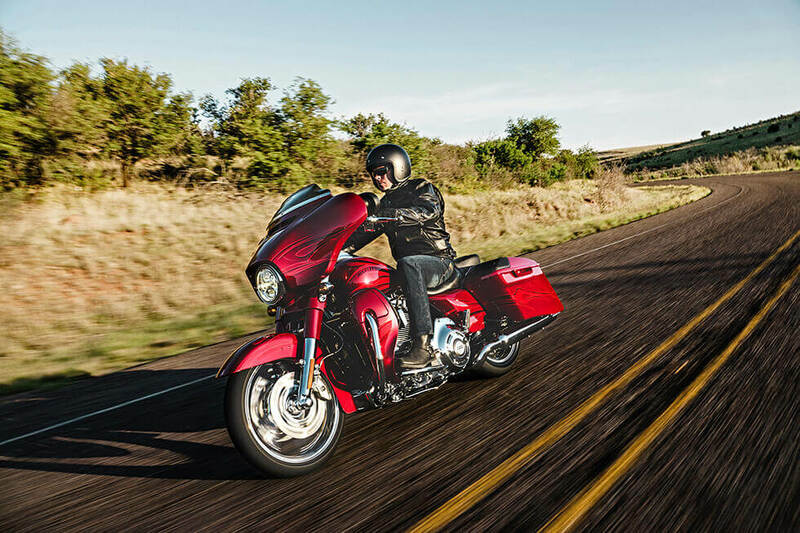 Innovative Twin Cam 110™ Engine: A big Twin Cam 110™ engine provides all the muscle you could ask for. 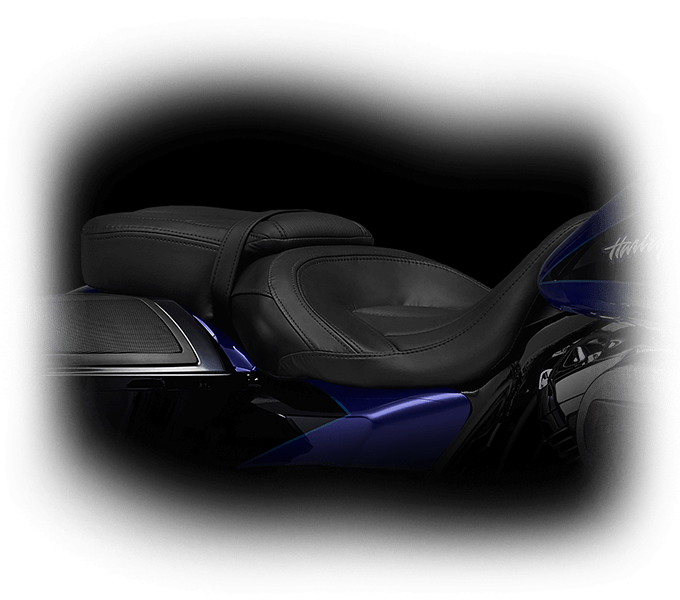 Innovations such as the lighter pistons keep it all running smooth and cool, delivering the raw power and dependable performance you need. Slip & Assist Clutch: The hydraulic slip and assist clutch reduces the effort required to shift gears. 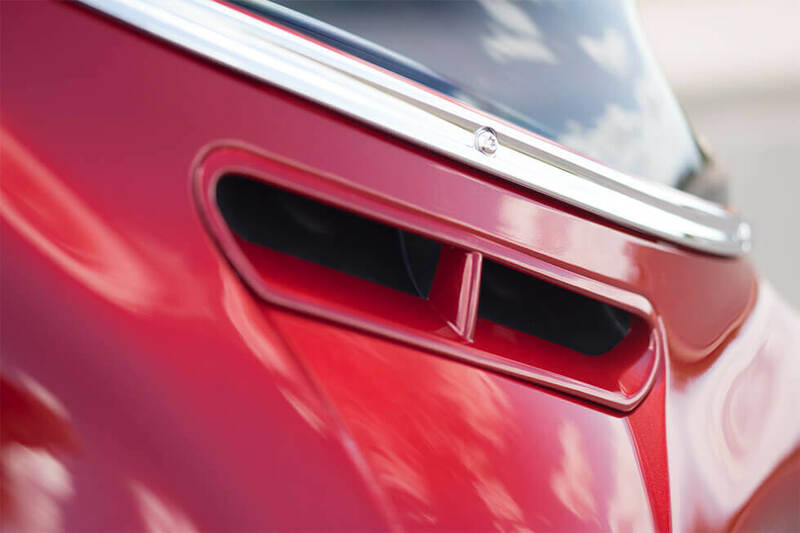 That’s especially important if you’re stuck in a lot of stop-and-go traffic. 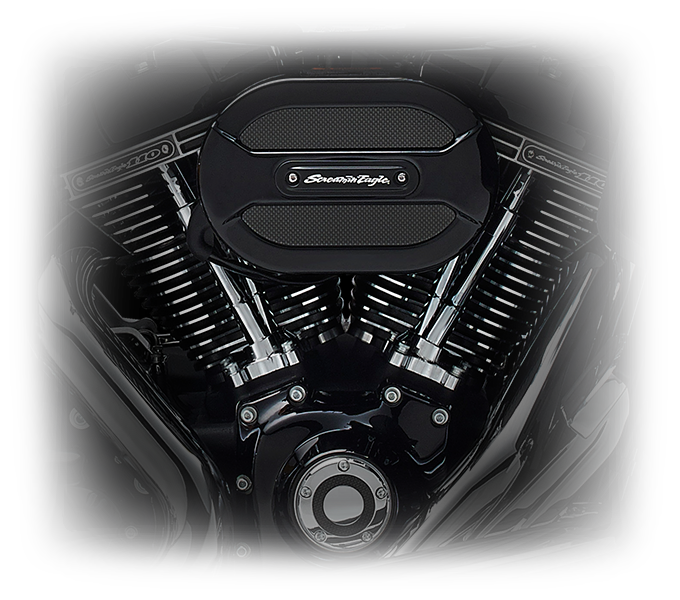 Ventilator Elite Air Cleaner: It’s important that the powerful Twin Cam 110™ gets plenty of air, and the Ventilator Elite Air Cleaner makes sure that potentially harmful dust and debris don’t get in. 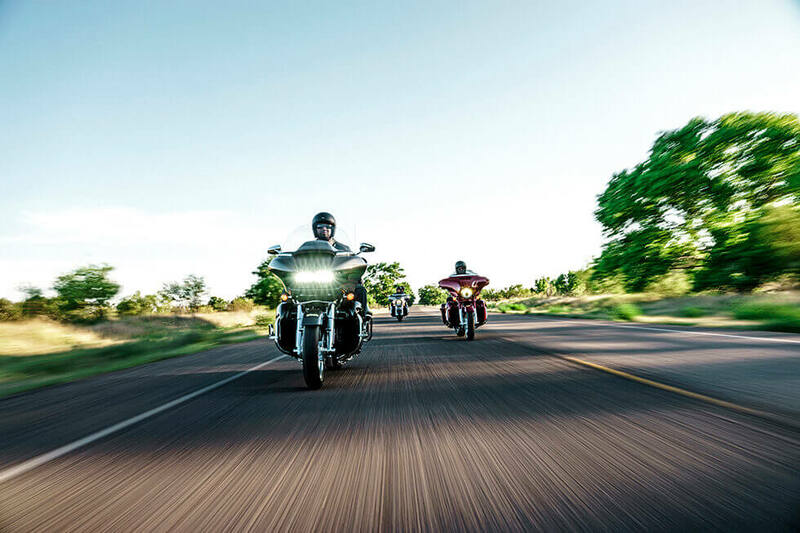 Reflex™ Linked Brakes with ABS: The advanced ABS features Reflex™ Link Brakes which will keep the wheels from locking up, giving you superior stopping power in all conditions. 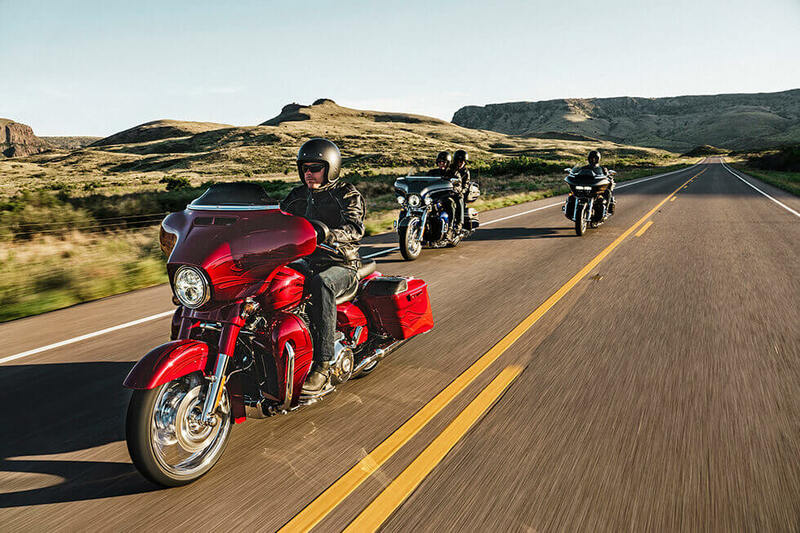 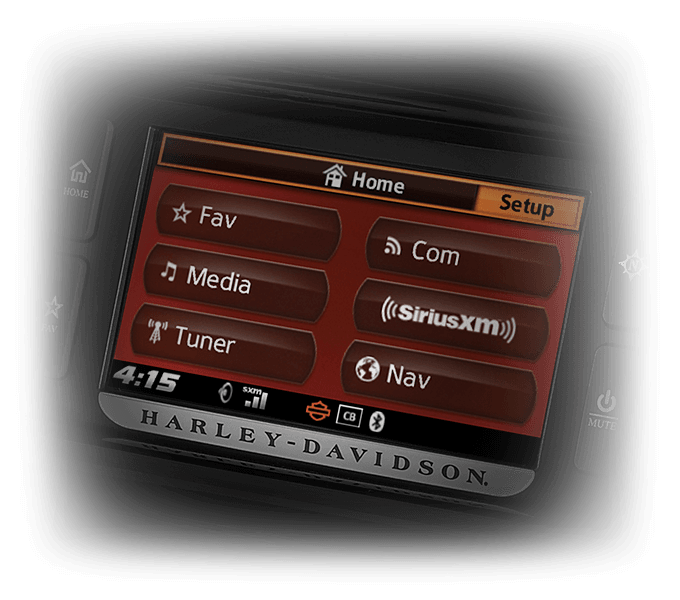 You get premium Harley-Davidson® custom style and top-quality features when you choose the CVO Street Glide®. 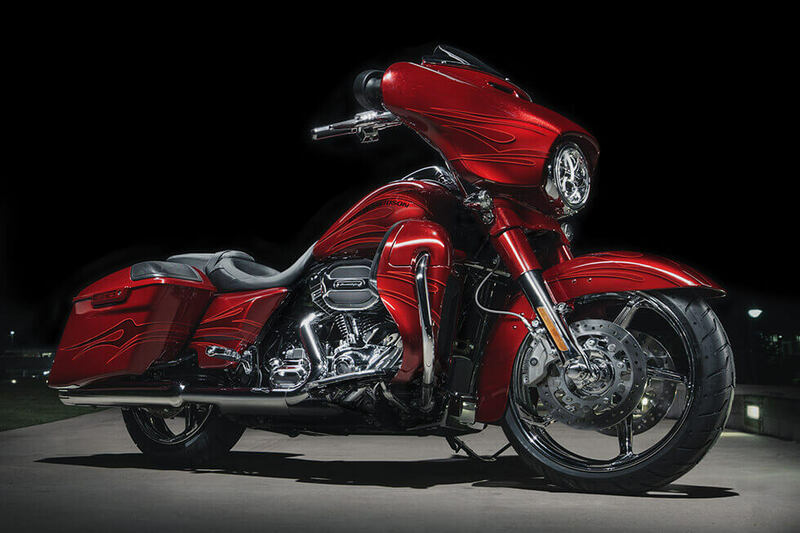 Color Matched Components: Meticulous attention to details gives the CVO Street Glide® a truly unique look. 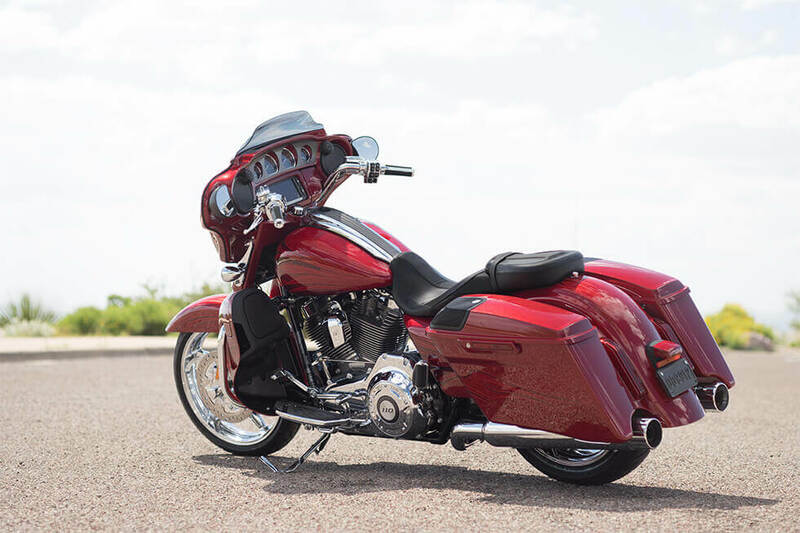 Components like the fairing skirt and the fork and slide covers are color matched for a truly premium style that’s hard to miss. 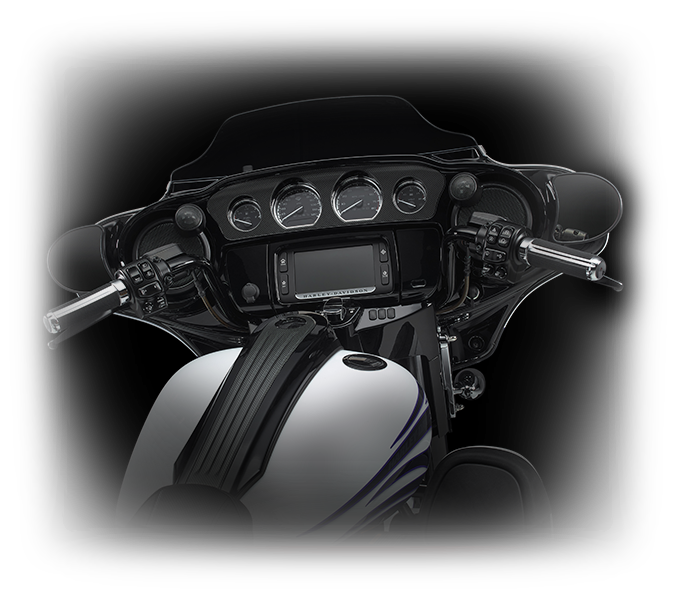 Gloss Black Inner Fairing: The inner fairing sports a deluxe glass black finish which is the perfect background for the gauges and infotainment screen. 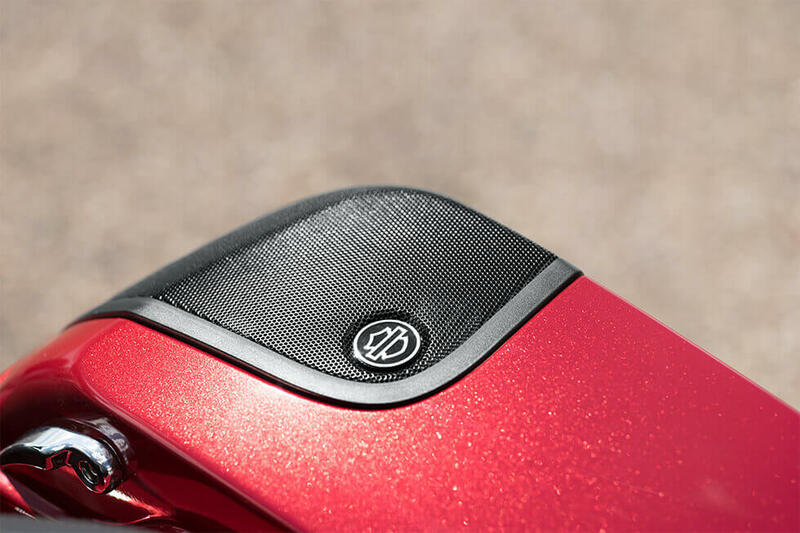 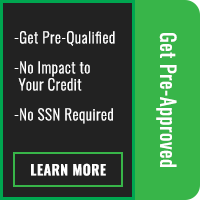 Tire Pressure Monitoring: The all new Tire Pressure Monitoring system is not only convenient – it’s also an important safety feature, letting you know immediately when your tires are over or under inflated.